Marko Trajkovski was born on 6th April, 1984, in Brežice, Slovenia. He received his B.Sc. degree in biochemistry at University of Ljubljana, Faculty of Chemistry and Chemical Technology in 2008 with thesis entitled ‘Studies of cation interactions with DNA aptamer of thrombin’, that also won him a prize on 38th Krka’s awards. From 2008 to 2013 he was involved in research activities as a PhD student working under mentorship of Professor Dr. Janez Plavec at the Slovenian NMR Centre, National Institute of Chemistry, Ljubljana, Slovenia. In 2011 he received award for best poster presentation by a young researcher at the "XVth Symposium on Chemistry of Nucleic Acid Components", Český Krumlov, Czech Republic. In 2013, by elaborating Ph.D. thesis entitled ‘Folding and structures of DNA G-quadruplexes’, he received title D.Sc. at University of Ljubljana, Faculty of Chemistry and Chemical Technology. For the Ph.D. thesis he received Krka’s prize and Pregl’s prize of National Institute of Chemistry. Since 2013 he has been working as postdoctoral research assistant at Slovenian NMR centre at the National Institute of Chemistry, Slovenia. Together with NMR spectroscopy which is the primary method of his research, Dr. Trajkovski employs others, especially chromatography systems, UV and CD spectrometry as well as computer systems. His research activities comprise investigation of non-canonical structures adopted by guanine-rich nucleic acids as well as their interaction with small organic molecules and ions. In this regard, his work contributed to better understanding of principles governing G-quadruplex self-assembly and provided insights into specific structural motifs addressing the role of G-rich DNA in biological process, nanotechnology and medical applications. 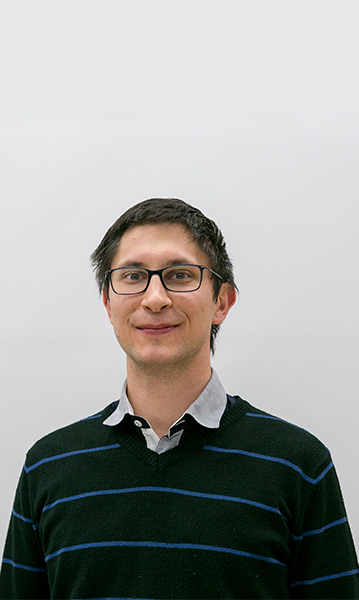 Additionally, Dr. Trajkovski devotes his work to investigating mutuality between structural features, intermolecular interactions and adsorption characteristics of materials. J. Amer. Chem. Soc. 2018, 140 (38), 11893-11897. Nucleic Acids Res. 2018, 46 (8), 4301-4315. Chem. Eur. J. 2015, 21 (21), 7798–7807. J. Phys. Chem. C 2012, 116 (44), 23821-23825. J. Am. Chem. Soc. 2012, 134 (9), 4132–4141. Angew. Chem. Int. Edit. 2009, 48 (48), 9167-9170.